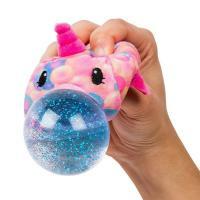 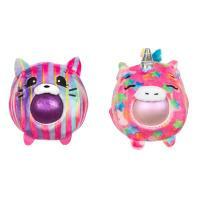 Bubble Drops are collectible squeezy plush toys that blows a fun, glitter bubble surprise when squeezed. 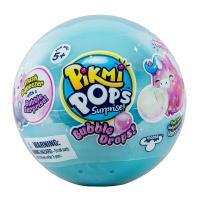 Each Bubble Drops character measures 2.75" tall. 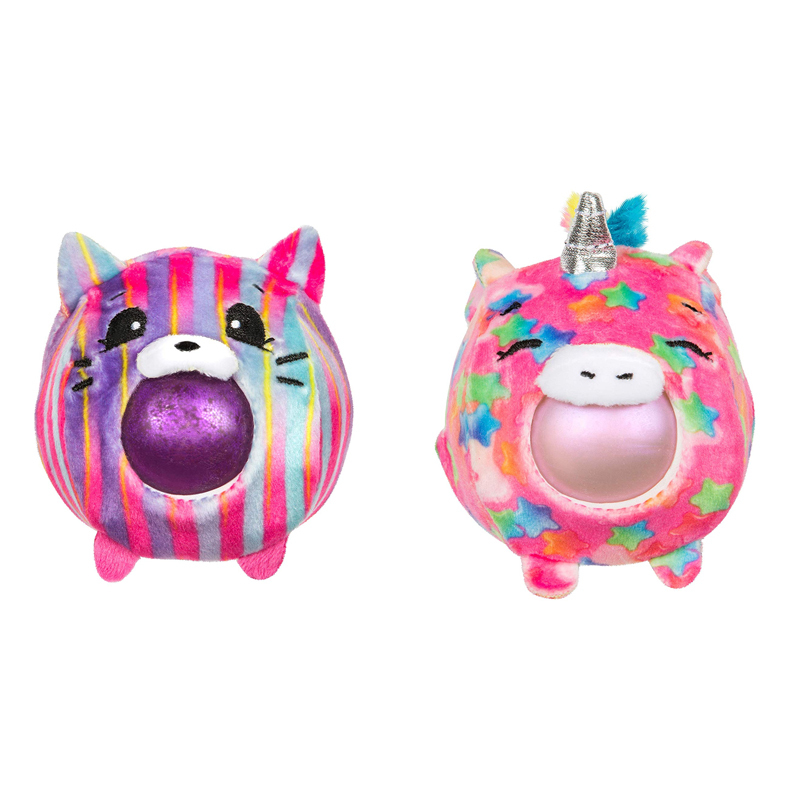 Collect all 24 super cute characters, including a Limited Edition Unicorn. 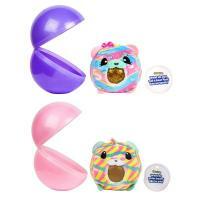 Bubble Drops are packaged in a fun and colorful gumball vessel that doubles as a display stand. 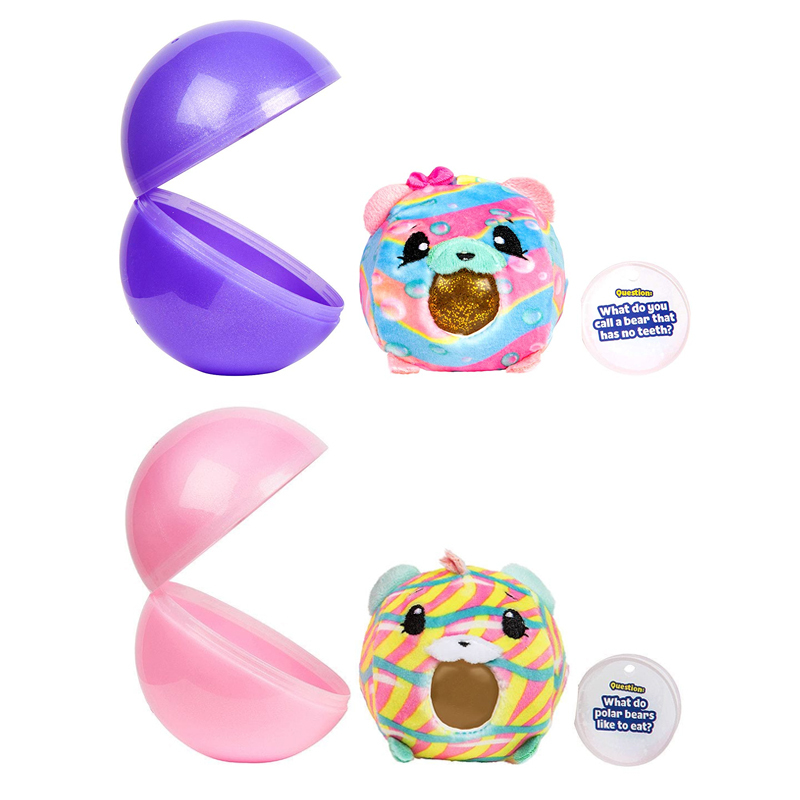 Each pack includes (1) Squeezy Plush, (1) Gumball Vessel, (1) Surprise Message and a Collector's Guide.